Can non swimmers learn to scuba dive? Do you need to swim if you want to dive? Can a Non Swimmer Learn to Scuba Dive? 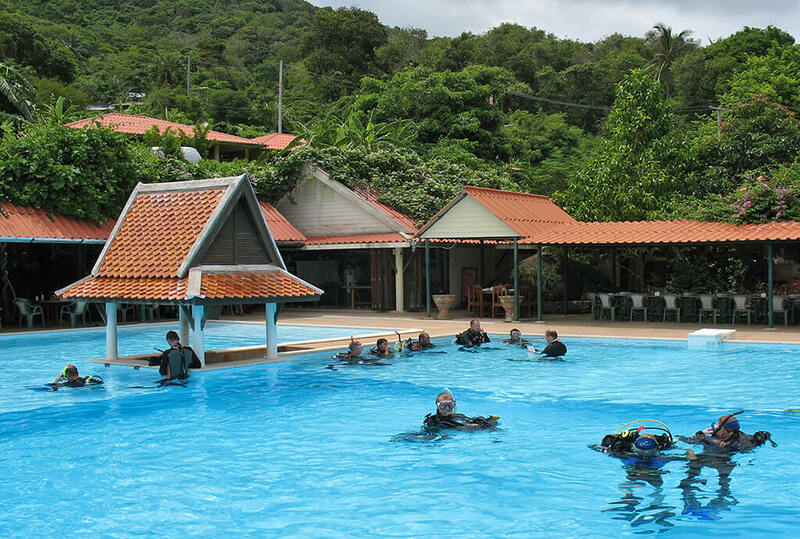 Home > PADI Dive Courses > Can a Non Swimmer Learn to Scuba Dive? Can you dive if you can’t swim? You might think that non swimmers would not consider scuba diving as an option. You’re in the water, completely surrounded by water, and you can’t swim. Is that a good idea? Well, the answer is “scuba equipment”! Scuba gear helps you to swim with fins, helps you keep neutrally buoyant and since you wear a BCD (jacket) you can float at the surface. So the brief answer is YES, you are allowed to dive as a non swimmer, but there are limits to what you can do. You are only allowed to make simple intro dives with an instructor, you can’t get a full scuba licence if you can’t swim, but you can try diving and hopefully enjoy the experience! 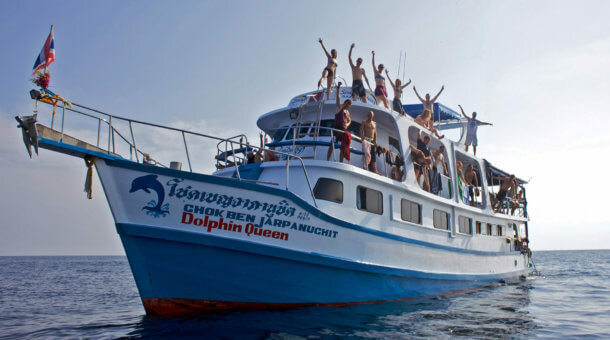 If you are a non swimmer, you can (in some places) book a one day diving experience called Discover Scuba Diving. This is an easy introduction to scuba in shallow water with an instructor always by your side. Some dive shops allow you to join this experience if you cannot swim, so long as you have no health issues – see Am I Fit For Diving. 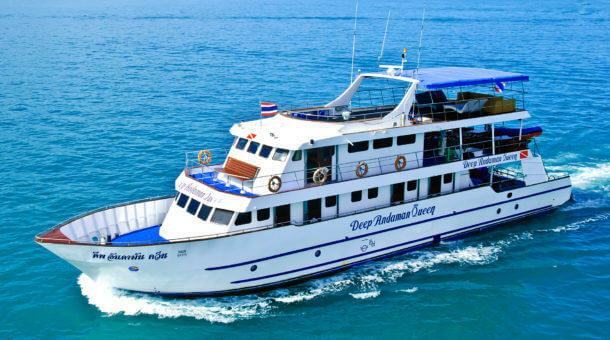 We do the Discover Scuba Diving as a full day trip by boat to Racha Yai island south of Phuket. 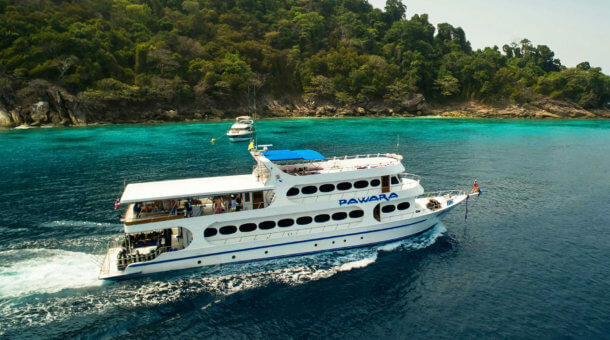 Although some dive shops are happy for non swimmers to take boat trips and go diving, we have decided that for your safety and for the safety of others, Sunrise Divers will not be booking any scuba diving in Phuket for non swimmers. It’s important to remember that swimming underwater when you are wearing scuba gear is very different to normal swimming. Underwater you let your legs do the work, using the fins. You really don’t use your arms at all when scuba diving. 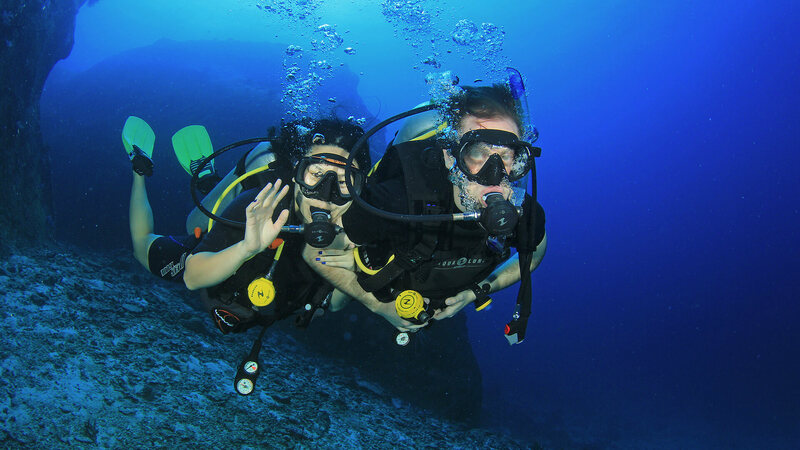 The scuba gear means you can breathe, move and stay neutrally buoyant in the water and enjoy looking at all the fish! If you wanted to get a full scuba certification, we offer the PADI Open Water Diver Course, which takes 3 – 4 days, and for this course – YES you need to be able to swim. There is a swim test – you have to swim 200 meters – and a “float test” where you need to be able to tread water / float for 10 minutes in the pool with no flotation aids. So if you maybe try diving one time as a non swimmer, and decide you love it .. well, you better join your local swimming club and get some swimming lessons! 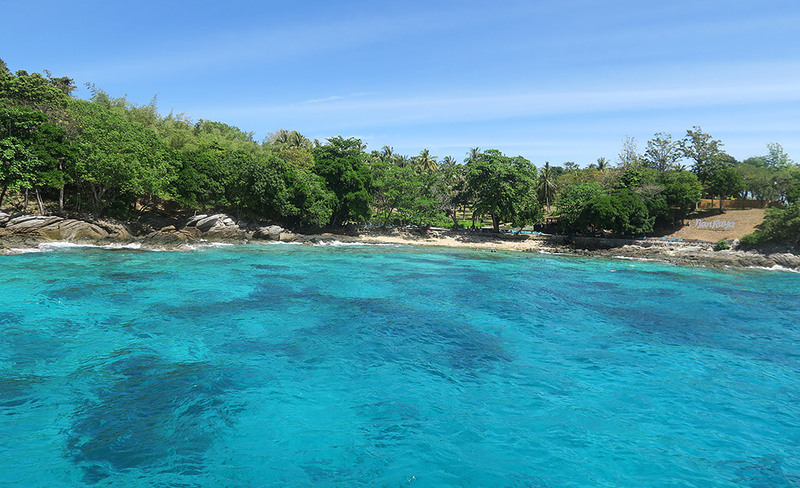 So, if you can’t swim, or can barely swim, you can maybe try diving, taking it nice and easy with a Discover Scuba trip. But honestly, we’d suggest that if you are not a swimmer that you stick to activities that do not include being in the water all day. If you really want to dive .. start by taking some swimming lessons!